The toddler is now 3 and we’re slowly phasing out of diapers, but we still use it on cold winter nights, at playschool or when out for a vacation. All the mentioned scenarios are times when he has the diaper on for hours and even overnight – which at times results to rashes. 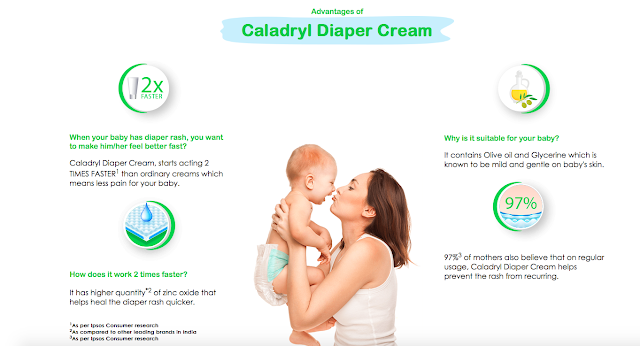 I received Caladryl Diaper Cream a couple of weeks ago, and now that I have used it a few times on the kiddo, it’s time to jot down the review! 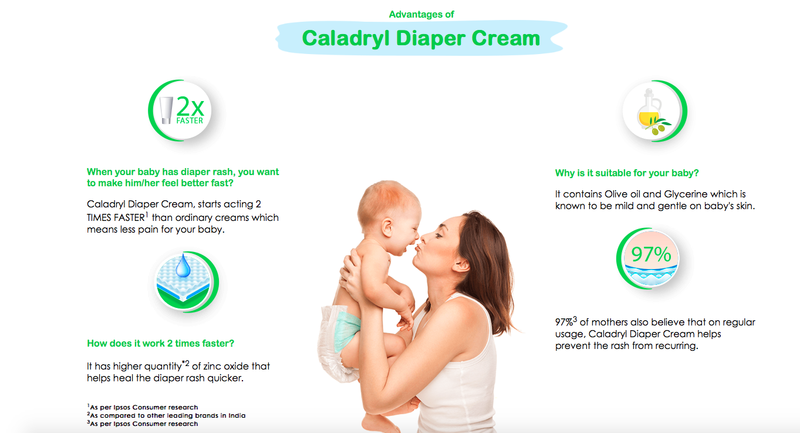 I was happy to know that it's the same brand and name that we have had in our household in another form - the Caladryl Skin Soothing Lotion - that everyone uses when there is any kind of rash/itching/skin discomfort. The product comes in a tube with a flap lid. I absolutely loved the fragrance, totally pleasant. You have to take the cream in your hands and apply over the affected areas (as if you did not know that fellow mommies, but well just stating the facts). Usually we like our creams to get absorbed and rub it in – but NO! That’s now how diaper creams work – they are supposed to create a barrier between the diaper and baby’s skin as well (apart from healing the skin), so don’t fret if the cream is very visible – and always apply generously. Isn't that an adorable picture of my son and my mom? I saw a difference in the healing speed, and toddler was much more comfortable and happier, so yay! You can buy it online from Amazon/FirstCry, or at your local chemist. Price at Rs.199 for 40gm tube, it is a must have for new mom’s out there! And it’s by the well known and trusted pharma brand – Piramal, so there is now second doubt about quality of the ingredients used. Thanks for sharing this wonderful blog! !